Experiencing errors with the Microsoft Dynamics CRM for Outlook Client? This article is a guide to the troubleshooting options. The Microsoft Lifecycle Services Team has been working on a data loader for Dynamics CRM Online for a while now. It’s been in ‘Preview’ mode but available for Dynamics CRM Online users to use. Today we are going to look at what this tool can do and how it could help you gain valuable insights from your data. Knowing a prospect has opened, clicked or interacted with an email can mean the difference between winning a deal, or watching it slip through the cracks and go to a competitor. But most sales reps don't have access to this capability, or find it too time-consuming and complicated to access it in their customer relationship management (CRM) solution. 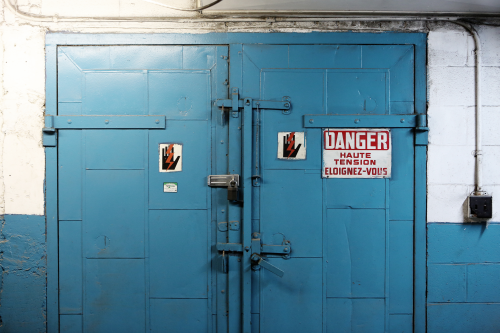 This article reviews to easy-to-use email tracking solutions. Got a small stack of business cards that you'd really like to get into Microsoft Dynamics CRM so you can start scheduling follow-ups right away ... but dreading the task of getting them into CRM? You're in good company. Now the task can be made as simple as taking a picture of the card with your mobile phone. This article explains how. A look at 6 areas where Microsoft Dynamics CRM will improve as a result of the LinkedIn acquisition. if your organization is already using Microsoft Dynamics CRM, look no further for useful marketing tools than within Microsoft’s offerings. Microsoft Dynamics Marketing and Social Engagement, together, have the power to ramp up both your marketing efforts and social media presence to truly allow you to do more, faster. Take a look at this preview to learn more! Businesses often make the mistake of assuming that customer processes built in CRM or marketing automation solutions are like other business processes. When they do, the results can be a disaster. Learn the 4 rules for creating processes that combine a rigid core with flexible edges. “Ever since I started having my team re-key data before sales meetings, sales performance has improved” … said no Sales Manager ever. Read on for the cardinal sin of the sales process when using a CRM solution and ideas you can implement TODAY to make a lasting impact on the way your team manages their pipeline and closes sales. If there’s one thing Microsoft has been doing consistently, it’s rolling out updates to fast-improving Social Engagement. The latest iteration has managed to address several ongoing complaints about the platform's previous limitations, including: Custom Tags, Source Options, and Private Message options. Read on for the run down! Marketing in Dynamics CRM – What works out of the box? 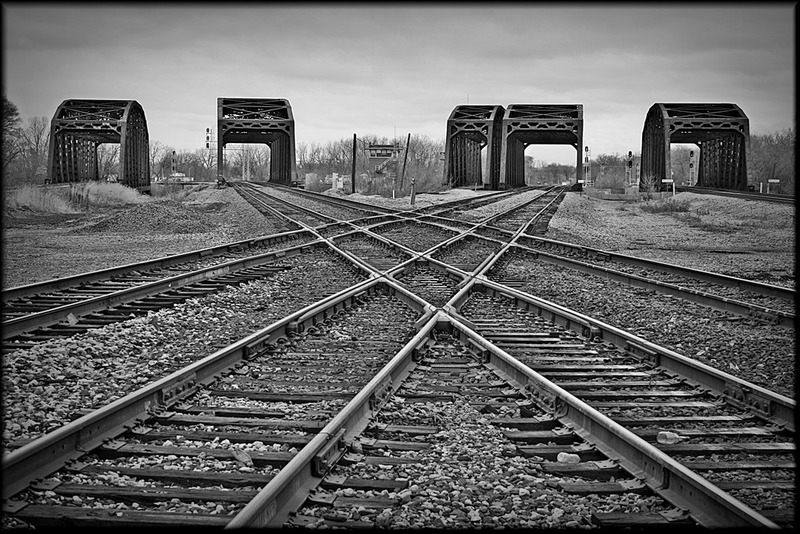 So, you’ve invested in Microsoft Dynamics CRM and you’re itching to pull the trigger on a marketing add-in. Great! But that’s not what we're going to discuss in this blog. 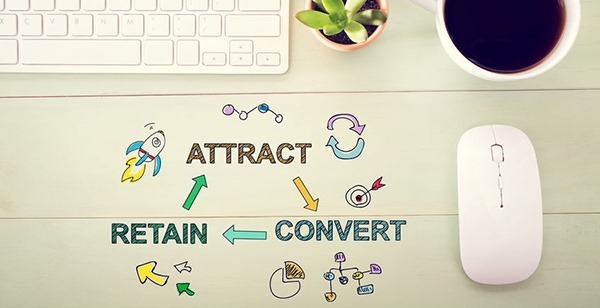 Rather, let's take things back to basics and talk about what your marketing team can do from day one, using CRM without any add-ins or even custom configurations. With so many great social media monitoring tools out there these days, how are you supposed to know which one to pick to monitor your social media marketing efforts? Social media is without a doubt gaining ground as a powerful marketing platform with 64% of Twitter users and 51% of Facebook users being more likely to buy products of the brands they follow on each of these social media platforms (Aabaco). Today we’re going to take a look at Microsoft Social Engagement vs. Hootsuite to compare their prominent features and the pros and cons of each. The purpose of this blog is to describe the options available for troubleshooting the Dynamics CRM Outlook Client when errors have occurred. This blog does not purport to be exhaustive, but can be used as a guide to assist the analyst in discovering the causation of error messages or application functionality that is not within the normal, expected results of Microsoft Dynamics CRM Outlook Client’s prescribed use. Today, we are going to take a look at Microsoft Dynamics Marketing and the tools it offers to the busy marketer of today. We’re going to hone in on what we perceive as the 5 most important basics to MDM, and what you need to know to make an informed decision on if this tool would add value to your organization. 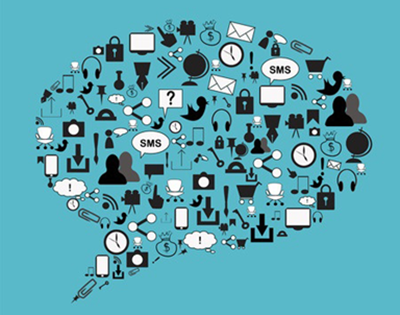 Ready for an overview of how to Connect with customer, clients, and prospects using Microsoft Social Engagement? This entry details Direct Publishing, Assignments, and how the tool links with CRM. Marketing Technology is a vast landscape, full of platforms, processes, and the vendors who want to sell them to you. This article sheds a little light on Marketing Automation Platforms (MAPs) and equips you with the questions you’ll want to ask potential partners/vendors before making any buying or upgrading decisions. In this entry, we are going to finish the last piece of our LUCK Principle and discuss how to Know your results using Social Engagement. This last piece of the puzzle is vital for marketers because knowing your results is crucial to understanding if your efforts are yielding benefits. Read on for the analytics end of this powerful tool! The Salesforce Apex Data Loader is a downloadable tool that runs on the desktop. It is a free download from Salesforce and can perform Inserts, Updates, Upserts, Deletes and Exports of data. Read on for instructions on ways to use the Data Loader to get the most out of your data! Importing into Salesforce ... Which Tool should I Use? 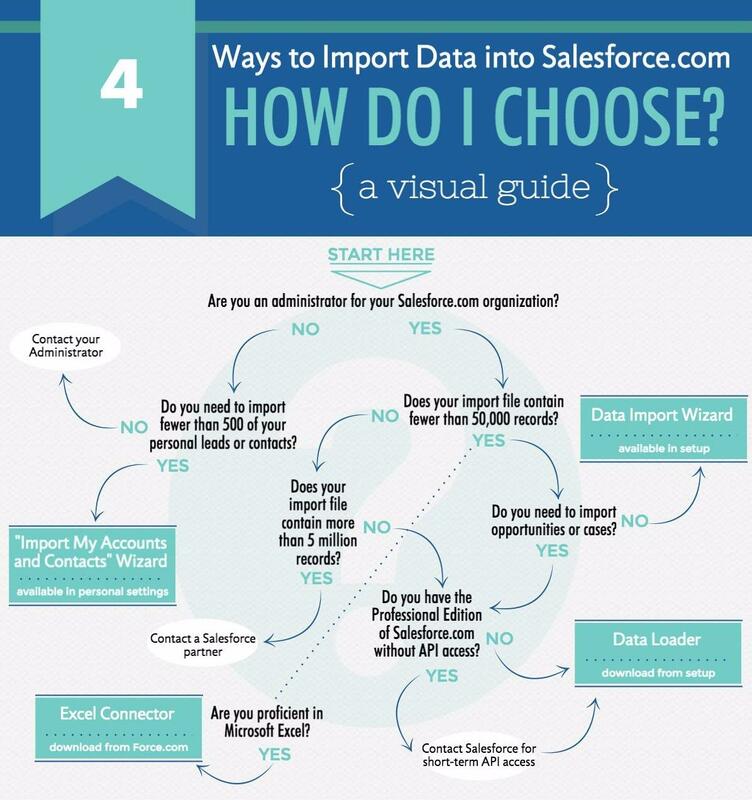 The Salesforce platform is not lacking in ways to import new data into your organization. Is it an embarrassment of riches? Or too much of a good thing? The jury is still out … but understanding the benefits and limitations of each method is crucial before beginning any data import. To get you pointed in the right direction, we've outlined the high-level use cases of each import method, beginning with the most user-friendly and moving toward the more robust. Sway- Driving Business with creativity! Recently I was working on a project and I needed to deliver a presentation to a client. But for this particular presentation, the standard old PowerPoint wasn't going to cut it. We needed a more interactive experience, mobile friendly, a way to incorporate video and images along with my topical content. 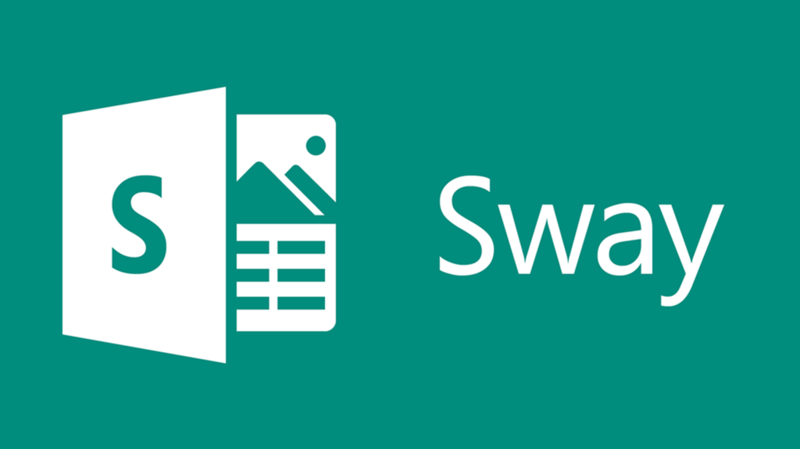 After reviewing the available options, I decided to investigate Microsoft Sway. 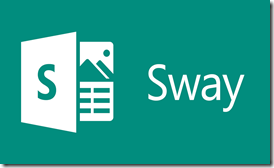 Recently out of preview, Sway is now a free part of the Office 356 service portfolio (or can be used separately outside of 365). I was able to map my ideas in the tool canvas quickly and efficiently and within a short time I knew I had found the right tool. Let's take a look at what it can do for you!